Tax forms and year end wage filing can be a difficult process. Our team at BG Tax Forms is knowledgeable about our complete line of compliant tax forms and related supplies. If you are not sure which tax forms you need to file with the IRS or SSA, we can help you determine which tax forms you will need. Our team will help you understand which W-2 forms or 1099 forms need to be filed, who needs to file them, and why they need to be filed. 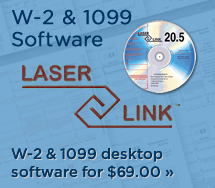 We can help you determine which tax forms you will need for your software package, and also which tax preparation supplies you may need. 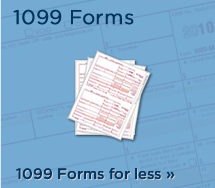 Our tax forms are 100% compliant and compatible for your peace of mind. 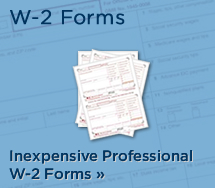 We also have web based e-filing services for W-2 and 1099 tax forms.